Seeds or plays on table. 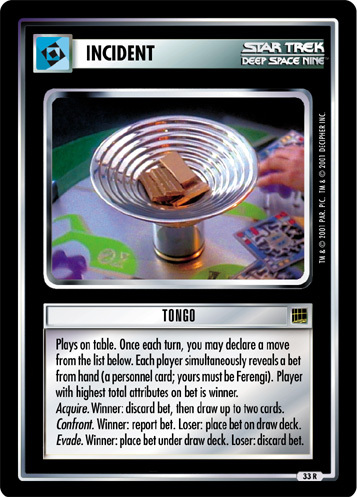 During your turn, you may place here one or two Jem'Hadar from hand or in play, then draw a card. (These Jem'Hadar are not in play.) 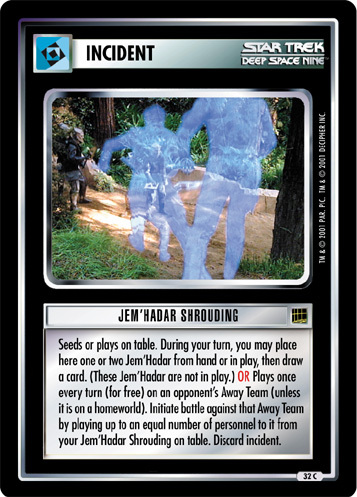 OR Plays once every turn (for free) on an opponent's Away Team (unless it is on a homeworld). 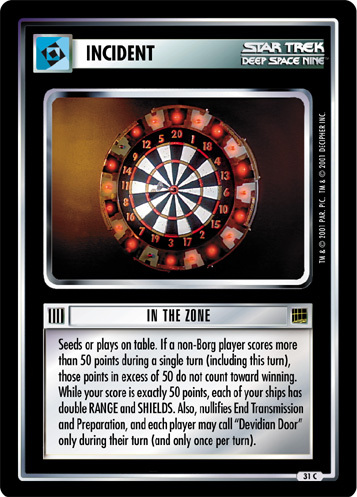 Initiate battle against that Away Team by playing up to an equal number of personnel to it from your Jem'Hadar Shrouding on table. Discard incident.